Thread: Happy birthday, Parsi---February 9! Parsi, in case you're dropping by, everyone here wishes you a very happy birthday! Last edited by agate; 02-11-2019 at 11:38 AM. parsi, whereever you are i hope you have a great day and evening!!! A very Happy Birthday, Parsi! 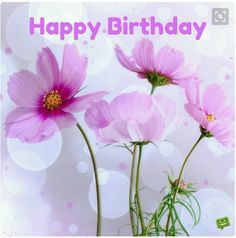 Wishing you a beautiful birthday! Missing your posts and hoping to have you back soon. Thanks to agate, Virginia, ANN, Jeanie, Rose, Linda, nuthatch, Sunshine, and Cherie for your birthday wishes. I apologize for being absent so long. Ever since I started using a smartphone it's so much easier to check Facebook there than to check BT on my laptop. My laptop is old, slow, and tends to freeze. But FB on the smartphone has it's own problems. When was the last time I read BT, much less checked in? I've had a few projects going though they really didn't prevent me from coming to BT, just laziness. I had been part of a committee at our church considering expanding the church or alternatives. The church is small and not really growing in size but there were issues that did need to be addressed. Recommendations made. I'm on the committee for our high school 50th reunion. Planning done. Now we are waiting to send out final info in July and collect responses. The reunion is in September. Taxes of course. We have an appt on Mar.1 with the preparer. I did a round of Physical Therapy. DH is a citizen as of Nov.1. Early morning our son drove us to the federal courthouse in Milwaukee for the swearing in. We had lunch at an Iranian restaurant and shopped at the small Iranian shop next door which had Iranian food items. Then we drove back home and went to the county courthouse to register DH for voting. They suggested casting our votes right then. So we did. Weather has been something this year. Earlier this winter we had an all day snow. Because we waited until it stopped we had a difficult time digging out. So next time we were out in the snow blowing, shoveling, or scraping the drive and sidewalks clear. We had a deep freeze which basically closed down the city for two days. The car battery gave out. And this week it's been snow one day, no snow the next, snow the next, no snow, and snow predicted again today. I guessing about 20" overall. We need to buy a new snowblower. The one we have is with a cord and small. Last edited by Parsi; 02-14-2019 at 05:56 AM. Happy Birthday, Parsi (February 9)! Happy Birthday, BBS1951 (February 5)! Happy Birthday, Parsi - February 9!